The vineyards of the Loire Valley, which stretch from the Massif Central to the Atlantic Ocean, offer a wonderful diversity of wines. Zinging dry whites; luscious sweet wines; memorable rosés; light quaffing reds; deep coloured and robust reds that age magnificently and fine sparkling wines. They also offer remarkable value for money. Lovely freshness and minerality but nice weight and complexity. Lovely floral sweetness (honeysuckle) fruity fresh quince and citric finish. The entire production at Domaine de la Grange is sur lie (kept on the lees until bottling to give flavour and freshness) and made in the cleanest and best organised cellars anywhere in France. The harvest from each vineyard is vinified and matured separately. Classic ripe Sauvignon. Another impressive young producer in eastern Touraine. Slow vinfication in barrel, lovely mineral character, ripe, fresh and beautifully balanced. Absolute delight at the moment, perfection with rich creamy sauces-rich and ripe. A good vintage for the best growers but care was required - drinking superbly. Increasingly organic, attractive fine and fragrant, nice weight. Delicious. Hints of grapefruit and lychees – good weight with fresh finish. Ripe concentrated, harvested from the Mont Damnes slopes. Attractive lively Pinot Noir with good concentration. Deep dark red fruits aroma, aged in oak. Full ripe fruit – aged in large barrels for 4 months attractive spicy notes. 80% Cabernet Franc & 20% Cabernet Sauvignon. Ripe black fruits, good length with attractive finish. Wonderful quaffing Champigny by the ever consistent Regis. Ripe and fruity with hints of spice. Vinified partially in oak and stainless steel. Lovely ripe black fruits nose. Plump structured mouth. Wonderful fruit – beautifully balanced with real finesse. Lovely mature Chinon from one of the great vinatges of the modern era. Lovely ripe fruit. Elegant and stylish with very good balance. Not the power and weight of 09 & 10 but elegant sweet fruit and lovely finesse. Outside of Sauternes the Loire Valley is the greatest world producer of non-fortified sweet wine. The style is somewhat different to most other sweet wines. Due to the Chenin Blanc grape's high acidity, Layons and Vouvrays, when late picked for botrytis, have a wonderful balance of fresh, clean fruity sweetness and acidity. Never cloying, these wines can live for many years - 100 years plus in great vintages. These wines are best drunk with fruit desserts or on their own at the end of a meal or, like the French, as a special aperitif. They are especially good with blue cheeses and foie gras. If faulty we will replace the bottle but not the older vintages if the wine is OK. If in doubt ask the waiter or call the manager. These are several of the main areas for the sweet whites in Anjou. Both the Layon and Aubance are ambling, somnolent tributaries of the Loire. When conditions are right they provide the autumnal morning mists that helps botrytis to develop. These are the two crus of the Coteaux du Layon and the top growers here produce the best wines of the Layon. Quarts de Chaume has just 30 hectares of vines divided between no more than 10 growers. Bonnezeaux is larger with 80 hectares and the quality is more variable. These appellations lie immediately to the east of Tours, Vouvray on the north bank and Montlouis on the south bank of the Loire. In favourable years the grapes are affected by botrytis. Vouvray Moelleux tends to be a little more austere than those from Anjou but has similarly magnificent ageing potential. 1989 Vouvray Moelleux ‘Grand Année’ Bernard Fourquet. We think Régis’ slightly dry lemony Crémant is superb. A delicious aperitif. Classic Vouvray character in sparkling form – delicious. One of the oldest Grande Marque Champagnes – no malo, fresh, fruity purity. 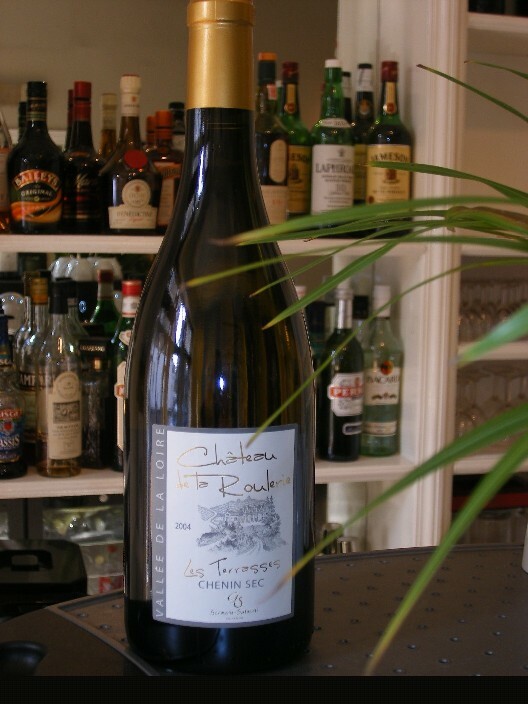 Half bottles are a difficult area for restaurants, many suppliers do not have them and when they do, they will not always be the same vintage as the full bottles offered. As we import direct from growers in the Loire Valley, we can and do ask them to specially bottle some for us. This has met with the odd refusal and sometimes the premium charged for half bottles can be exorbitant, but we persevere because our customers like them especially at lunch times.